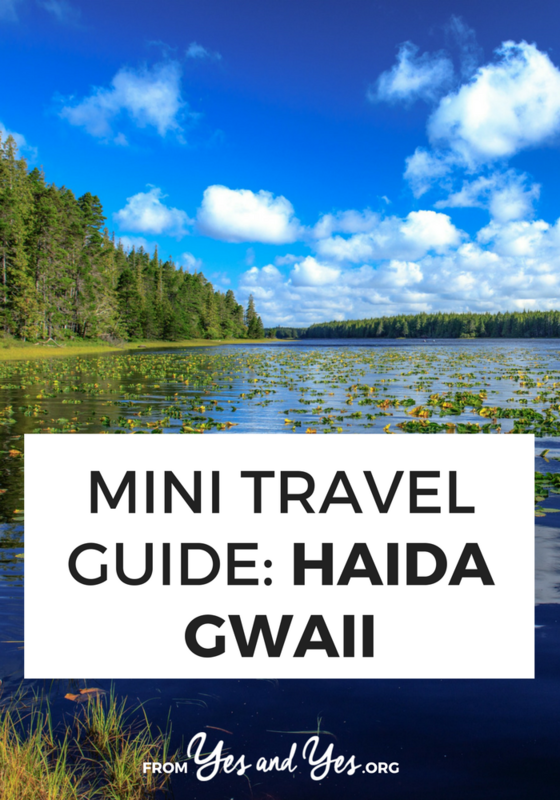 You haven’t heard of Haida Gwaii, either? NBD it’s just the Galapogos of Canada, recently featured on Lonely Planet and National Geographic as one of the top places to travel. And if you live in the states, that American to Canadian exchange rate is currently working in our favor! Read on for the best places to hike, where you can see whales, and the best restaurants for eating roe on kelp! Haida Gwaii is an archipelago off the west coast of Canada. No, not Hawaii. It’s a group of islands just south of Alaska. Also known as the Galapagos of Canada, Haida Gwaii has an abundance of life, culture and biological diversity from shore to shore. Thick forests and rugged coasts, sprinkled with Sitka spruce, this place has the ability to awaken the soul and nourish all 5 senses. Hello – I’m Allison and I currently live on Haida Gwaii. I’ve lived and worked here for over a year, so I’m still discovering the ins and outs of these islands that have been luring me on weekly adventures. I’ve fallen in love with these islands, and if you decide to come here, I bet you will too! 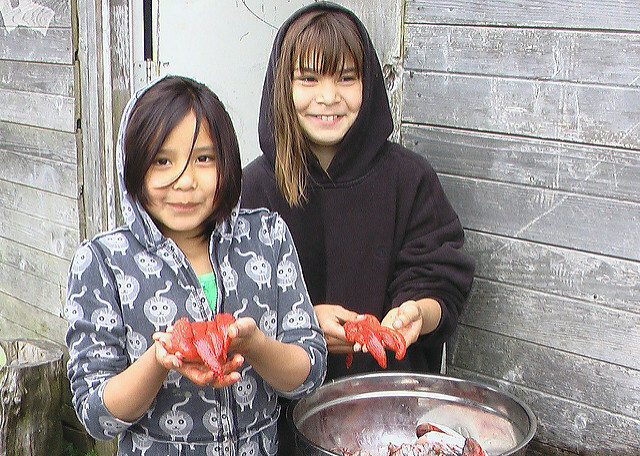 Haida Gwaii has just under 5,000 people that inhabit eight different communities. One of the last places to be touched by the tourist industry, Haida Gwaii is a hidden gem made for the self-guided traveler. With one paved road, Hwy 16, running from south to north, it’s hard to miss the stops along the way. But don’t stick to the pavement, there’s much more to be discovered down a hiking trail, a beach or an old logging road. In the south, there are two main communities: Skidegate and Queen Charlotte, each community with its own charm. On a bike ride from one community to the other, you’ll often see pods of whales traveling through in the spring and summer. In Skidegate you’ll find Haida carver signs hidden throughout the village, inviting you in for a visit. In Queen Charlotte, you’ll find backpackers, long-time locals, and sailors down at the docks or on the balcony of Queen B’s Cafe. 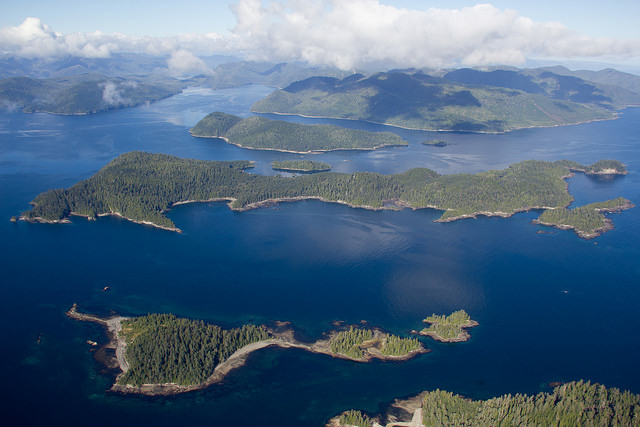 Protected in Skidegate Inlet, there’s a scenic view from almost every vantage point. Once you make your way north you’ll find the village of Old Massett, New Masset, and Tow Hill. Tow Hill is where you can walk the beach for miles, and say hello to Alaska! If you’re here in the winter, this is the place to storm watch, to be blown by the wind and feel the rain on your cheeks. When the tide is out, keep your head down to look for agates and glass balls that float in from Japan. Check out the blowhole for one of nature’s spectacles and walk through forests covered in blankets of moss and ferns. Rennell Sound is down a logging road. You’ll find unexplored coastline and you might just feel like you’re at the edge of the world. It’s a great place to spend a day beach combing, free diving and gathering around a fire with friends. Most tourists come to Haida Gwaii to visit Gwaii Haanas National Marine Conservation Area Reserve, National Park Reserve and Haida Heritage Site – and for good reason! Throughout Gwaii Haanas you’ll find ancient Haida village sites with historic carved poles. To book a Gwaii Haanas orientation, check-in with the local Parks Canada field unit. 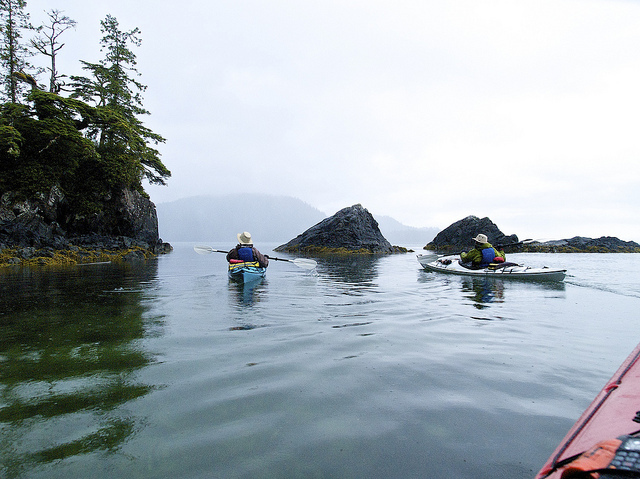 If you’re interested in booking a trip check-out, Moresby Explorers, Green Coast Kayaking, or Haida Style. I’ve never been bored on Haida Gwaii. Never. There’s trail running, free diving, paddle boarding, kayaking, weaving workshops, and berry picking. And that only scratches the surface. Hike Sleeping Beauty at sunset. If you look west from Queen Charlotte, you’ll see a ridge shaped like the silhouette of a woman sleeping on her back, known as Sleeping Beauty mountain. This is a beautiful, well-marked hike. When the fog clears, it’s an excellent vantage point to see Skidegate Inlet and the west coast shores. There’s a bit of a steep climbing at times, but the view is well worth the sweat. There’s a lengthy list of local fishing charters that can take you out for a day trip to catch some ocean swimming salmon, halibut or ling cod, depending on the time of year. If you can’t seem to hook a fish, you can always ask the captain to set some crab traps, that way you won’t come home empty-handed! You’ll probably be able to view wildlife without even trying! You’ll see flocks of eagles and ravens. Flip a rock on low tide to find an octopus. Take a seat at Jags Beanstalk in the spring to see a humpback, grey or killer whale. Take a dip and be wary of sea lions. Between your drive from Tlell to Port Clements at dusk, you’ll see deer peering from the trees. Housed in the Haida Heritage Centre at Ḵay Llnagaay in Skidegate, the Kay Bistro is THE place to eat. Often made with local ingredients, Edi creates mouth-watering burgers, tacos, salads, and soups. After a night out at Howler’s Pub or a Skidegate dance, a deep-fried chicken burger always hits the spot. Keep your eyes out for Edi’s food trailer at Spirit Square, one of Haida Gwaii’s first food trucks that launched in the spring of 2016. This guy can cook! In almost every season you can wild food harvest. Nettles in the ditch, thimble/salmon/black/raspberries along the road, sea asparagus in the tidal zone, crabs within the inlet, and salmon off the coast! Ask a local what’s in season to know where and what to pick. If you’re looking for authentic local food, make a reservation with Chef Roberta Olsen at Keenawii’s Kitchen. A multi-coursed meal can consist of dried seaweed, roe on kelp, octopus, salmon, or halibut. Prepared and gathered by Roberta herself or with the help of locals, you’ll be sure to get a taste of traditional Haida cuisine. Open for lunch Tuesday – Saturday, this place was my favorite lunch stop when I worked in the north. It’s also the only vegetarian restaurant on the island, acting as a bit of a community hub. Spend one lunch hour here and you’ll know what’s going on in the community! Barb serves up a selection of hefty crepes with chipotle or lemon sauce. Depending on the day there’s also a delicious selection of soup, salad or a glory bowl. 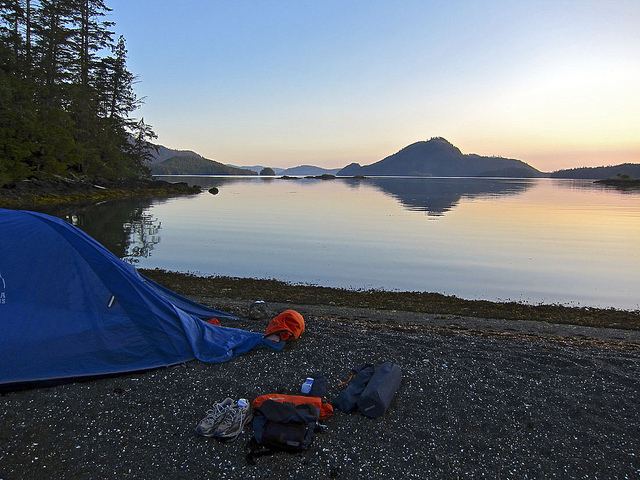 The best places to stay on Haida Gwaii are in a tent, there are tons of camping options along beaches, protected coves, or deep in forests. There are a few designated camping sites in each community, or you can find a pullout on a beach to set up for the night. Just be respectful of the environment – leaving it the way you found it. All have their own character with sea glass, quilts, and trinkets that reflect the personality of their owners. Check out Mike & Dorothy’s, North Beach Cabins and Cacillia’s B&B. Where the Sangan river mouth meets the ocean, this is my favorite place to have a staycation. This beautifully designed tree house in Tow Hill this is a little oasis is perfect for a romantic getaway. Circle windows, a fire pole and a big bear claw tub – you can cozy up and hide away here for a few days. The people of Haida Gwaii, both Haida & non-Haida, really value the natural environment. It shapes their livelihoods and spirituality. It’s the very reason why many people live there. You’ll see signs such as “United Against Enbridge”, “Stop the Bear Hunt” or “No LNG” on almost every other lawn. So be sure to respect the air, land, forests, and seas. Everyone has a story so pull up a chair and listen. There is a rich political, cultural and resource development history, so you’ll definitely learn something. To get here, you can travel by BC Ferries from Prince Rupert to Skidegate landing on an 8-hour ferry. In the summer the ferry can fill up – so be sure to book ahead, especially if you want a cabin for the overnight sail. Air Canada flies daily to the Sandspit airport located on Moresby Island. From there, Eagle Transit, rental cars or hitchhiking could get you to Alliford bay ferry landing. 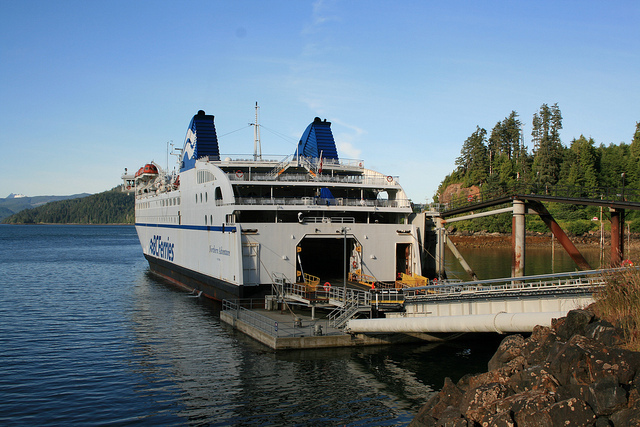 From there, you’re a short ferry ride to Skidegate landing, which is on the main island, Graham Island. Alternatively, you can fly right into Masset with Pacific Coastal. Once you’re here, hitchhiking is still one of the primary ways to get from North to South. There’s even a large thumbs-up statue in Masset where you can wait for a pick-up. If you’re on a tight schedule, there are a few rental car options at the Sandspit airport. Call ahead to make arrangements. Thanks so much for sharing your insights, Allison! Canadian readers, did we miss anything? I’ve lived in BC for 2 years now and I’ve always wanted to go to Haida Gwaii. It’s a looooong way up there (and much easier/cheaper to get to Alaska) but some day….!! Maybe it’s because I grew up in the Midwest where the only cool things were lightning and thunderstorms, but I feel like BC will take me the rest of my life to explore! It’s soooo huge, right?! But I love that feeling of having lived somewhere for a while and STILL discovering new things about it! 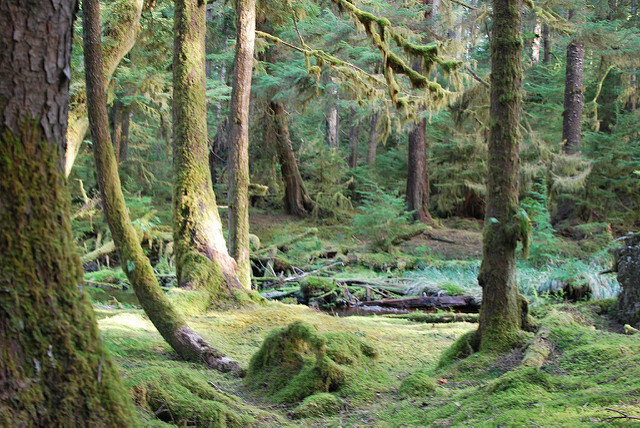 I live in Vancouver, BC and hear such magical things about Haida Gwaii! I would love to visit one day. I was on a cruise to Alaska in May and we actually sailed by it! Thanks for sharing this travel guide. Last May, I flew from England to Sandspit via Vancouver (took me almost 3days) to stay in the Bayview Garden B&B which had a hostel room. Flavian, a lovely young man, whose knowledge of the islands knew no bounds, ran the whole place. I stayed for two weeks with no schedule, no TV and no radio. The weather and the wildlife were wonderful! I hitched and explored absorbing the magic of Haida Gwaii. All the local people I met, especially in Sandspit and Skidigate were so generous and hospitable towards me, a stranger on their Island. During my second week, I started to write poetry! I have never in my life written poetry!! Where did it come from? Must be the magic of the islands. I left on the ferry to the mainland to continue my journey by train to visit a cousin in Fort Fraser and although the rest of my trip was great, the time I spent in Sandspit was truly special. Such an amazing place, heaven on earth…….